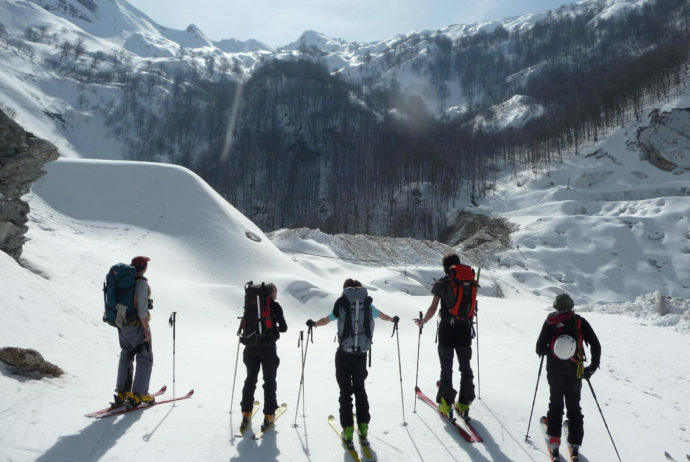 Classic ski tour, one of the few suitable for everybody, it goes through a magnificent and typical landscape, with sea view from the summit that it is the second one of that mountain chain . 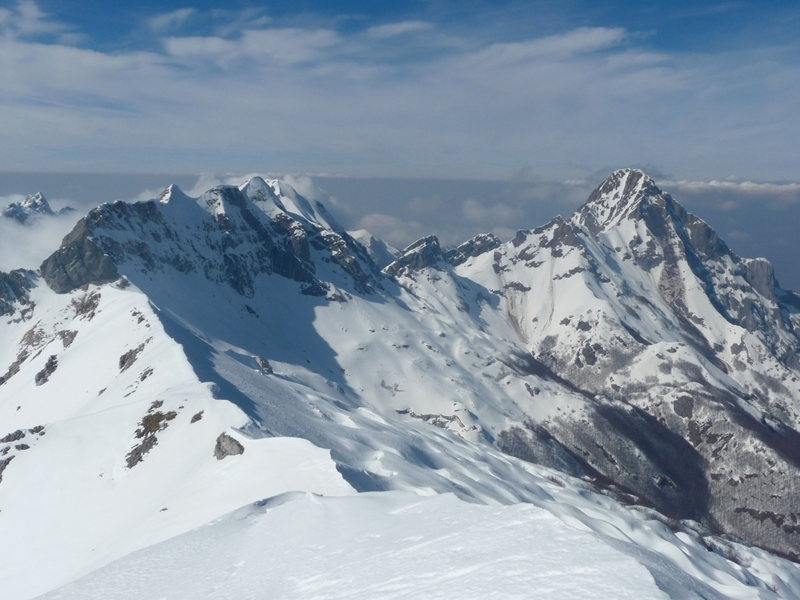 You can understand the reason to publish an itinerary done some time ago (14th Mar 2009), only if you know the Apuane Alps; because of their sea proximity, (the mountain chain is parallel to the coastline), suitable conditions for ski touring rarely occur. 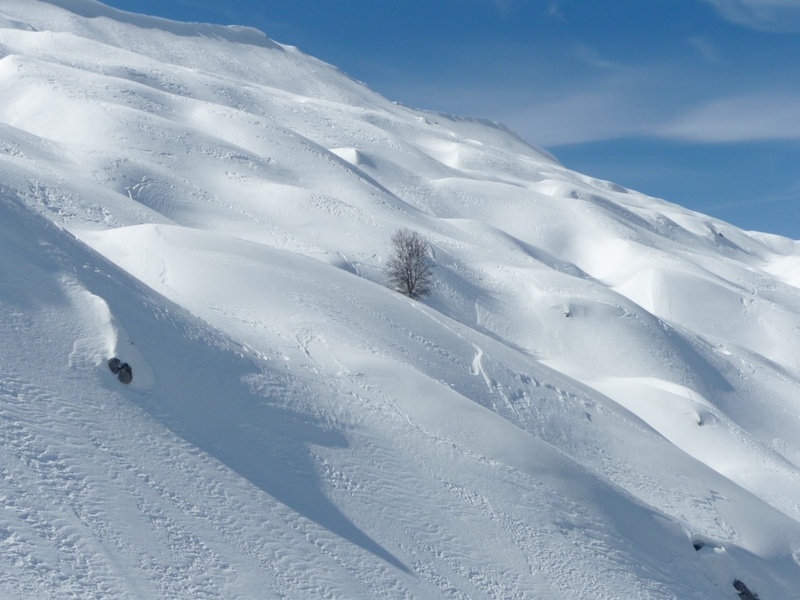 Although precipitations are plentiful, (on Tambura peak up to 3000 mm, one of the highest of Italy) the snow coverage is very variable in quantity and quality; just in a day the situation can extremely change. 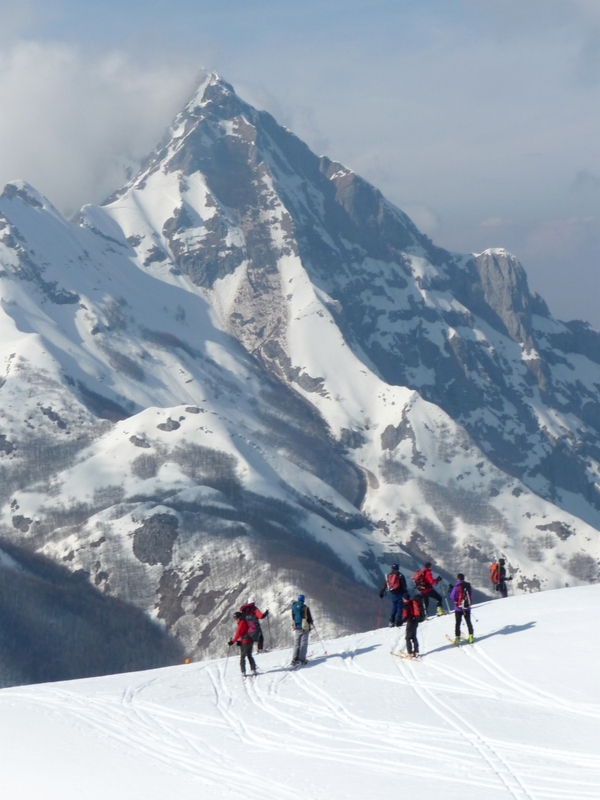 There can pass years without suitable ski touring conditions, if you can go there only during week-ends especially if you live far from there (from Florence, where I live, 140 Km, 2h) . 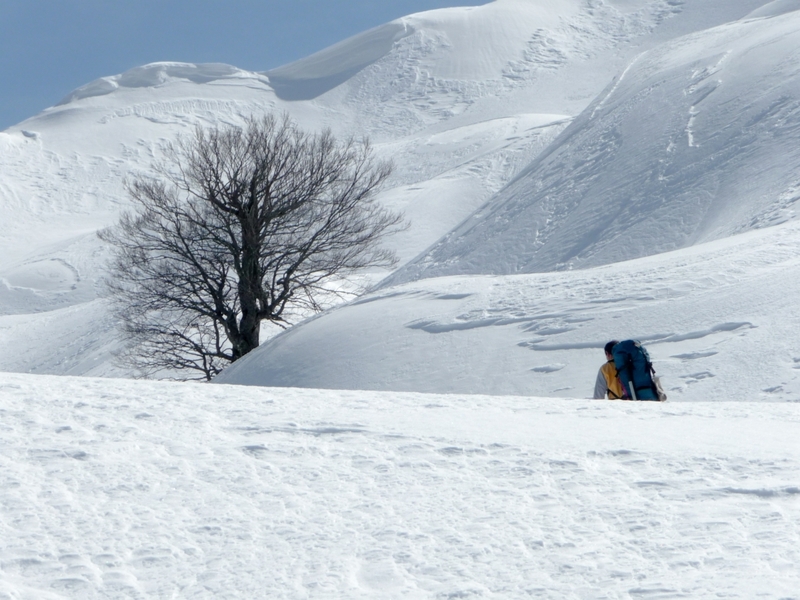 2009 was a year with plenty of snowfalls that continued for the whole season up to late Spring and that allowed us to do many itineraries usually not that well snow covered. The beginning of the route passes through active marble quarries. The highest part goes across the “Carcaraia” which is an area with many Dolines (holes that swallow water). 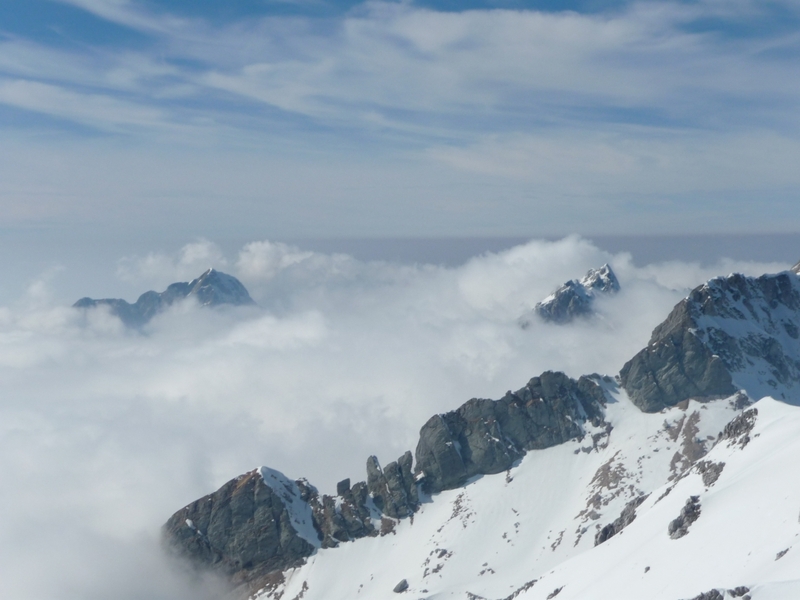 The carsick phenomena are wide spread in the whole Apuane Alps, their calcareous rocks explains their rough morphology. Passed Gorfigliano we parked at the Tombaccio quarry area before the tunnel. The snow was plentiful already from low altitude but the quarry road had been snow ploughed, therefore we had to walk, up to the higher quarry (1255m); here the squared marble appeared from the snow. 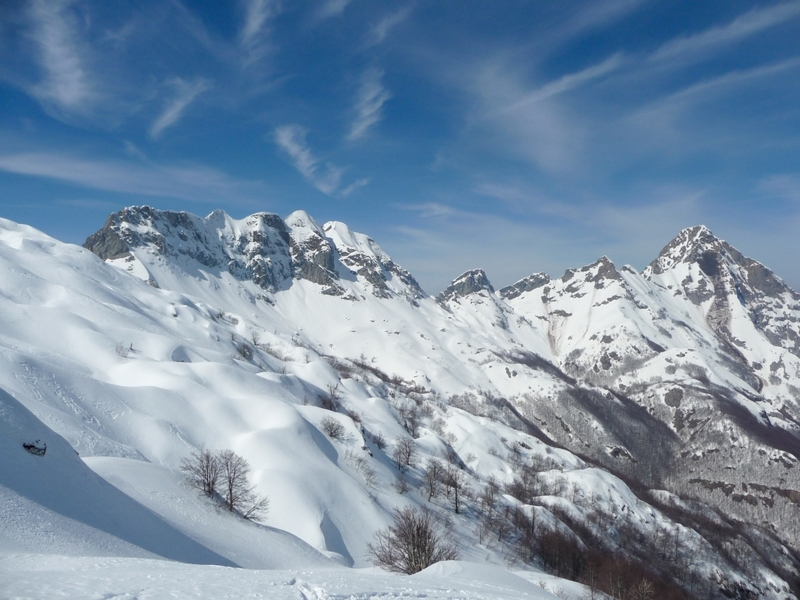 After a steep slope in the wood, we came out on the “Carcaraia“: the view of the several dolines covered by snow was really suggestive and unique. 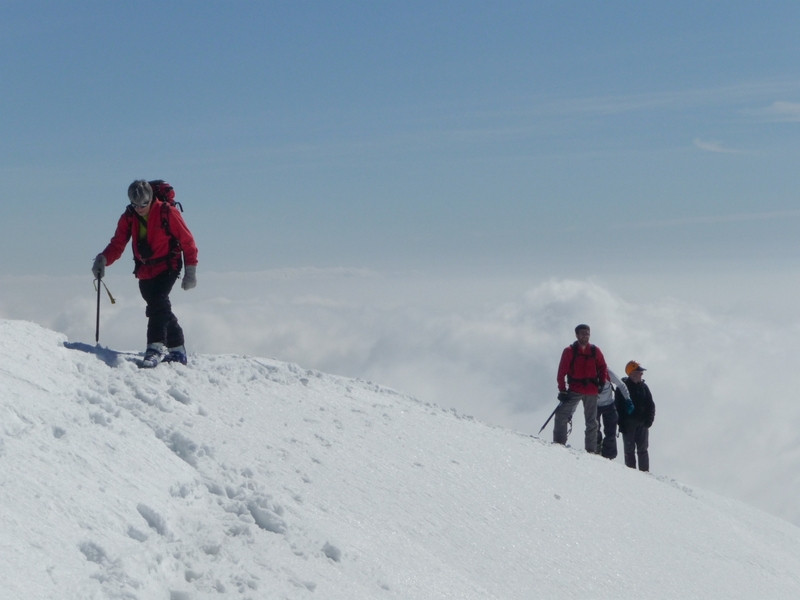 Then we got to a saddle below the summit where we left the ski and we climbed using the axe. The day was sunny and quite warm. Unfortunately clouds on the marine slope prevent us to have a clear view of the sea below. 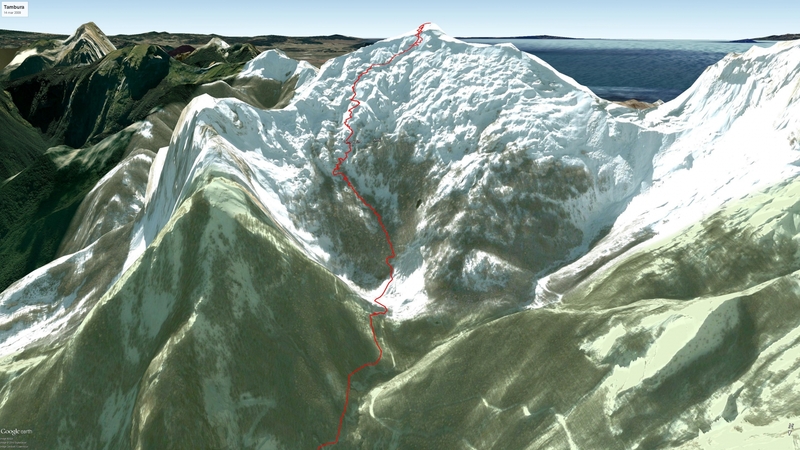 The descent was on the same route of the ascent avoiding Roccandagia slope where avalanches could occur.